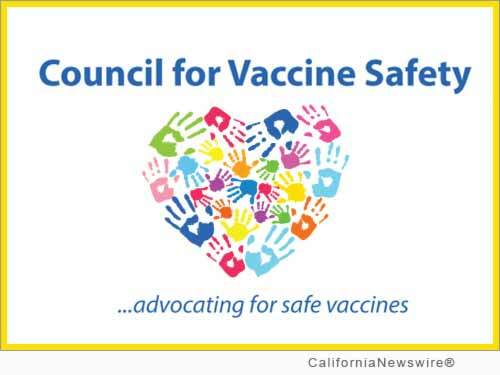 SAN FRANCISCO, Calif. /California Newswire/ — The Council for Vaccine Safety announced today that on Friday, July 3, Californians will rally simultaneously in cities across the state, to illuminate the truth and stand for health, safety, education, medical freedom and justice for all. Join us as we stand in sincere opposition to the unwarranted and threatening force of the government as it moves – in partnership with big pharma – to strip us of our parental, health and medical freedoms through proposed mandated healthcare legislation, such as California Senate Bill 277. July 3, 2015 at The Golden Gate Bridge Pavilion near the Flag Pole, 12 p.m. Parking: Battery East Lot; Rally at 12, directly followed by a march across the Golden Gate Bridge. The rally will feature educated freedom fighters and experts on SB277. SB277, which was just signed into law by California Governor Jerry Brown on June 30th, mandates that all children entering public and private schools, including daycare and preschool, have a full 35 vaccine doses, including vaccines that target non-spreadable diseases and diseases transferred via intravenous drugs and sexual activity. SB277 eliminates all personal belief exemptions as well as religious exemptions. Parents will no longer have the choice to decide with their doctor, based on their own child's specific health conditions, to delay or selectively vaccinate that child and have that child attend public or private school. This infringes on the state of California's Constitution that states all Californian children have a right to free public education without discrimination. Discrimination includes discrimination based on health status. Currently under California law, children who actually carry diseases such as Hepatitis and HIV are, by law, allowed to be in public school and cannot be discriminated based on their health conditions. Yet children who are healthy and do not carry these diseases will not be allowed in either public or private school across the state. It is a clear case of discrimination that targets families who choose to a different vaccination schedule due to another family member's previous reaction, countless hours of research on the toxicity of vaccine additives or even a sincere religious objection to vaccine ingredients (which includes aborted fetal cells and animal DNA). The United States recommends 53 vaccine doses before by age five, which is two to three times the average of other developed countries. The US also has one of the highest infant mortality rates of developed nations despite spending more per capita on healthcare (please see: http://www.ncbi.nlm.nih.gov/pmc/articles/PMC3170075/). Vaccines have never been studied for safety in combination yet 6-9 doses are routinely given during childhood doctor visits. Many vaccine additives, such as aluminum, MSG and formaldehyde, have been repeatedly linked to neurotoxicity, auto-immune diseases and cancer. Currently in the US, vaccines are the only product that has complete liability protection, meaning if you or your child is injured or killed by a vaccine, you cannot sue the vaccine maker. If vaccines are so safe, why must they be mandated and given complete liability protection by the federal government? The Supreme Court has declared that vaccines are "unavoidably unsafe" (Bruesewitz vs Wyeth LLC, 2011), yet with SB277 California has moved to strip parents of the fundamental right to choose what medical treatments our children are subjected to. While SB277 targets children and their fundamental right to a public education, lawmakers are also planning mandatory vaccination laws that will apply to college students, hospital workers, school staff and the entire adult population. SB277 is a slippery slope and the first of many planned steps to strip Californians of their medical freedoms. • We as individuals have the right to make informed and conscious decisions about our well-being, and that of our children. • The lives of our children must never be used as collateral, nor one child's life ever deemed more valuable than another. Our children should not be subjected to medical treatments that are "unavoidably unsafe" without parental consent. • Every child has a right to receive an education, free from condition, prejudice or duress. * Free exercise of religious rights must be defended under the First Amendment of the United States of America, without punishment. The immeasurable and unstoppable power of our love for our children, families and our communities – immediate and globally – serves to raise awareness to the importance of retaining health choice and medical freedom for one and for all. Council for Vaccine Safety (http://councilforvaccinesafety.org/), founded by a former pharmaceutical representative, is a non-profit organization focused on education and public awareness of vaccine risks while advocating for safer vaccines and medical freedom, a fundamental right. Million Mamas Movement is an organization dedicated to empowering mothers and ensuring that all children thrive locally and globally.